Thanks for joining us for our monthly Praying the Bible series! God’s Word is one of the most powerful tools he gives us for approaching him and shaping our hearts after his. In the midst of hectic schedules and long to-do lists, let’s not neglect this priority. 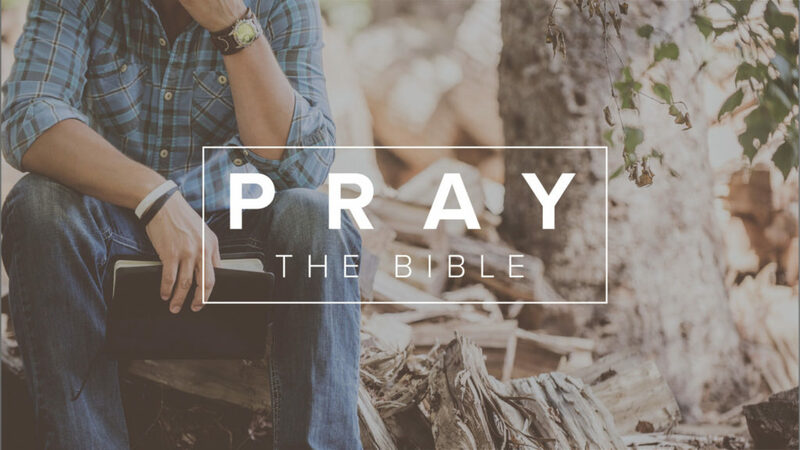 Learn more about the Praying the Bible Series. What should we be praying for ourselves, our coworkers or ministry teams, our spouses and kids? One place to begin is by following the example of how Paul, inspired by the Holy Spirit, prays for the believers at Colossae. At first glance, this passage can feel like a jumble of interconnected phrases and requests. But when we step back, we see Paul moving back and forth between the grace of God and the fruit it bears in our lives. As we are more aware of God’s wisdom and will, we begin to walk worthily with him. As we walk worthily with him, we grow in our knowledge of God. As we grow in our knowledge of God, we are strengthened according to his glorious might, so that we might endure with patience. And, as we endure with patience, we rejoice in his redemptive grace. When we get to the description of what God has done for us, Paul’s tone changes. He shifts his flowing argument for bold, image-laden sentences in which he rejoices in what God has done for us. This recounting of the gospel is clearly the pinnacle of this prayer for Paul. But this pinnacle isn’t just a rhetorical flourish. Paul is both displaying his own worship and helping us to worship alongside him. After all, if he is praying for believers to grow in godliness through knowing God, where better to start than by staring into God’s rescue of us? Worship God for his “glorious might” and his rescue of us. Recount how you’ve seen his strength and his redemptive grace in your life. Acknowledge where you have not been praying for your families, co-workers, church, or friends, and ask God to help you pray faithfully for them.